Office Seating – What’s all the fuss about? The problem with office seating often starts with the fact that most people don’t realise how little they know about their posture. “I don’t need to be told. I’ve been sitting all my life” is the prevailing attitude. Recent publicity about the BBC’s move to Salford summed it up. The poor old Beeb is always on a hiding-to-nothing with this sort of story but a perfectly sensible (and employer’s legal obligation) plan to ensure that personnel have the right chair and know how to use it was met with this brilliantly ill-informed comment from John Whittingdale, the Conservative chairman of the Culture, Media and Sport select committee: “This is the kind of thing that risks making the BBC a laughing stock. I think most people would feel capable of deciding how to adjust their chair without professional advice from an employee of the BBC”. Even more laughable was the comment from Karen Garrido, leader of the Conservative group on Salford council. She said: “I can’t believe we need to teach people how to sit on their chairs. They aren’t children”. These are two classic cases of the old politician’s adage “Don’t let ignorance stand in the way of a good soundbite”. Coupling good chairs with well-trained users will help to minimise musculo-skeletal issues, aid breathing, improve wellbeing and enhance productivity. We have provided thousands of chairs to individuals whose problems have been brought on by poor posture and the many physiotherapists, chiropractors and osteopaths we talk to have countless stories about avoidable pain and discomfort. The simple truth is that most of us lead very sedentary lives these days and too few of us think about our posture, our chair and how it’s set up. I love these devices, which are appearing in advertisements and on product literature. Invented in Japan in 1994, they have only started to appear in the UK comparatively recently. 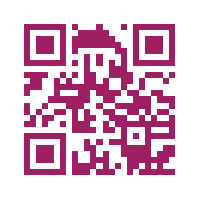 On investigation, QR (Quick Response) codes can be used for a whole variety of clever tasks. As well as pointing to web pages, they can be used to store telephone numbers, SMS messages, event data, text, Google Maps locations, even the contents of a complete business card. There are several free QR reader apps in iTunes and readers can be downloaded for most smartphones. Equally, there are several QR Code creator sites (many of them free) but we pay a small subscription at my favourite: QR Stuff. Recent reports show that average sickness absence fell from 6.7 to 5 days in 2010, the lowest for over two decades. The EEF/Westfield Health survey also found that 45% of employees had no time off at all. Data from 454 employers demonstrated a number of factors, including the impact of the fit note, line managers taking greater responsibility for absence management and employers funding private health care. What I cannot find anywhere is any recent data about presenteeism (lost productivity through people at work but feeling and performing below par). This is obviously hard to measure but it seems logical that, in a troubled economy (with increased unemployment and reduced job security), people might be concerned about taking time off. Can we then infer that some of the improvement in absenteeism statistics can be attributed to presenteeism? That is, people are still sick but just not taking time off. We may never know! 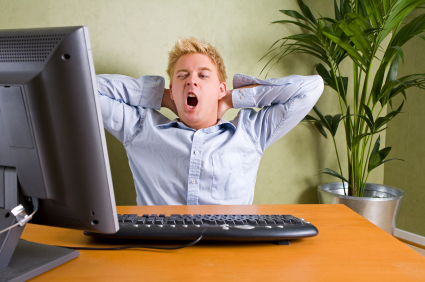 The presenteeism research that does exist suggests that its cost is dramatically higher than the cost of absenteeism. There are many ways that ergonomics interventions can impact presenteeism and we are always looking for simple ways to assess their success (or otherwise). Such implementations should always enhance wellbeing and performance but their impact may be hard to measure. The Work Screen tool (reviewed in our October 2010 webinars) assesses “Work Instability” using a unique scale incorporating both physical and psycho-social factors. This enables employers to identify those struggling with their workload and formulate an action plan to address their needs. Subsequently, further Work Screens can be carried out to assess the effectiveness of the interventions. You are currently browsing the Guy Osmond blog archives for June, 2011.